TAYLOR STOBINSKI IS a professional freelance cellist and Private Instructor. Taylor is THE CURRENT INSTRUCTOR AT THE BLACK SWAMP FINE ARTS SCHOOL AND STUDIO CONNECTIONS IN BOWLING GREEN, OH. 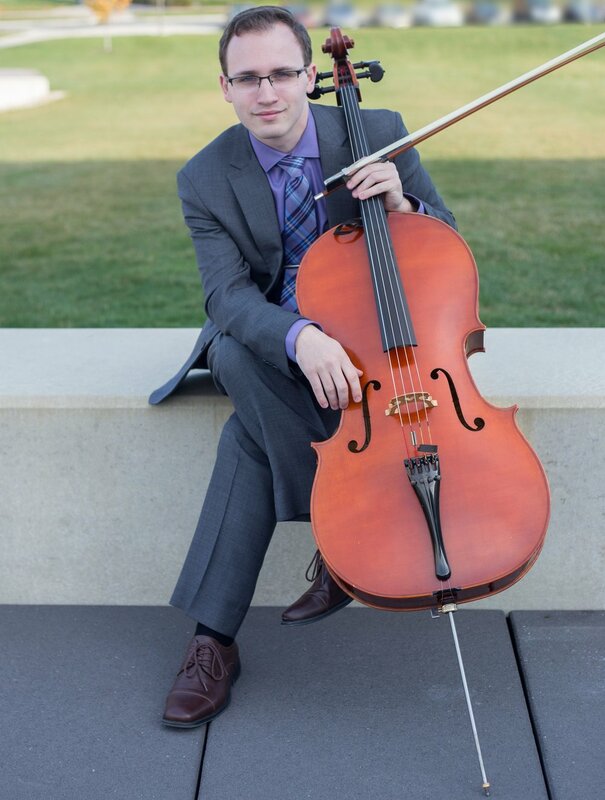 In the 2016-2017 season, Taylor served as the cello mentor for Detroit Symphony orchestra's WFA Civic Youth orchestras. ASIDE FROM TEACHING, TAYLOR IS ALSO AN ACTIVE FREELANCE MUSICIAN AS WELL AS AN ACTIVE CHAMBER MUSICIAN. HE FREQUENTLY PERFORMS ALL OVER THE GREATER TOLEDO METROPOLITAN AREA AS WELL AS THE DETROIT METROPOLITAN AREA. HE IS A MEMBER OF THE PERRYSBURG SYMPHONY ORCHESTRA AND OCCASIONALLY SUBS FOR THE Lima Symphony, Adrian symphony, Ohio northern Symphony, UNIVERSITY OF FINDLAY ORCHESTRA, AS WELL AS many other local ensembles and events. Taylor has recently graduated with a Bachelor's degree in cello PERFORMANCE. His private instructors include DR. BRIAN SNOW, DR. ALAN SMITH, and Robert Clemens. TAYLOR IS LOOKING TO COMPLETE HIS MASTERS DEGREE IN THE NEAR FUTURE AS well to expand his performing and teaching experiences.